St. Johns Door & Window is a family owned and operated company located in beautiful St. Augustine Beach, Florida, serving St. Johns County since 1989. St. Johns Door & Window is a full service window and door repair and replacement company with a full line of hurricane protection products. We are a manufacturer of custom screens, sliding screen doors and storm doors in a variety of colors to match your existing doors and windows. Through our many suppliers, we are able to offer a large variety of products. Our parts department stocks over 10,000 replacement parts. 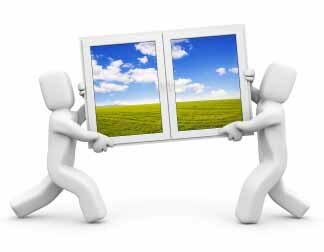 Replacement glass is available for all types of doors and windows — insulated, tempered and custom sizes are available at competitive prices. All of our employees including sales persons, production managers and installers are employees of the company and not subcontractors. From start to finish we pride ourselves in offering a higher level of friendly and expert customer service that is unique in the home improvement industry. To learn more, simply request your free in-home estimate! Thank you for visiting our site. We look forward to hearing from you! Thank you for recognizing St Johns Doors & Window as your premier door and window company. You will need to use your Google account. If you do not have a Google Account, here is how to get one. Copyright © 2010, St. Johns Door & Window Inc.